the hottest 100: how democratic is it really? I used to think that the Triple J Hottest 100, like Western liberal democracy, was the true embodiment of pure democratic will. The best band had won, the people had spoken. Over time, however, as I began to see how in a Western democracy, a candidate’s chance in an election was contingent on a myriad of factors other than their meritocratic ability ­– such as whether they had an endorsement from a major political party or whether they were able to gain electoral funding – I also began to see how the Hottest 100, and the Triple J playlist in general, is contingent on factors beyond that go beyond an Australian artist’s meritocratic ability, and instead rest in the institutional nature of Triple J. The fundamental truth that slowly extinguished my belief in the Hottest 100 was the realisation that a song is only going to do well if it has been heavily promoted and played on Triple J. This puts a significant amount of decision-making power in the hands of Triple J’s playlist producers who have the power to make or break an artist. This is a problem, because Triple J is increasingly projecting an impression of the Australian music scene which is falsely homogenous and based principally around three-minute pop single variations of folk, Aussie hip hop and indie rock, with other genres consigned to midnight airplay. 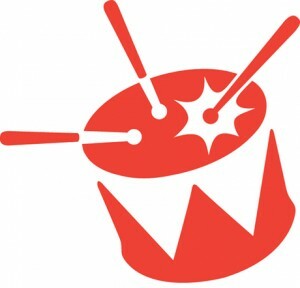 Triple J has a lot of influence in the Australian music scene and the promotion and support they can give bands can be crucial in determining whether a band “makes it” or not. The problem is that for every Australian band they promote that does make it, there are others with large underground followings, critical acclaim, and breakout potential that lack the same level of support. One gets the impression that, despite Triple J’s claims to be reflecting meritocracy and potential popular appeal, their producers cannot help but subjectively favor certain tastes over others. Triple J producers usually raise two main counter-arguments to these sorts of critiques; one, that the concept of a “Triple J sound” is an illusion formed due to the subjective bias of critics who interpret every Triple J song they dislike as validation of their belief that Triple J is getting objectively worse; and two, that Triple J simply reflects the popular will of their broader listener base which is greater in numbers than the critics. It is hard to deny that a subjective bias exists among many critics of Triple J, and that for some, music is always getting perpetually worse, but the idea of there being a “Triple J sound” has been validated by industry figures. The publicist Stephen Green, for example, has lamented to Rolling Stone that ‘the problem of Triple J being so dominant is that it skews what bands are coming out with’, and, in the same feature, the drummer from the Unearthed Brisbane band Millions described how his band got together to specifically ‘[go] towards that Triple J sort of sound’, which quite evidently resulted in Triple J success. The second counter-argument, that popular will dictates Triple J’s playlists, ignores Triple J’s public ownership and responsibility as a promoter of all Australian music, as opposed to a chaser of commercial ratings. It also ignores the increasingly growing success of independent radio stations such as FBi in Sydney, and RRR in Melbourne, which give greater prominence to a wider range of Australian music, providing an alternative to listeners who don’t feel catered for by Triple J. The solution to this problem is not to fire “the King” Richard Kingsmill and hire someone with “better” tastes, as some critics seem to imply, because Triple J are justified in pointing out that there will always be critics regardless of what musical direction they take. But they should also recognise the fundamental fact that a single radio station can’t possibly cater for Australia’s highly fragmented and diverse music scene and that attempting to do so simply leads to an unfair system were some artists receive recognition and exposure while other artists miss out. The solution is to restructure Triple J so that it reflects the diversity of the music scene. This means breaking Triple J up into several channels that specifically cater to the genres that are currently left to languish on weekly midnight airplay. If Triple J also restructured the Hottest 100 so that it combined the listener base and votes of all the different Triple J stations, then it would surely be a huge improvement on the current measure of determining the country’s favourite alternative song, and it would give artists from non-folk or indie rock backgrounds a better chance of having their true popularity reflected in the national exposure that comes with Hottest 100 success. Until we see a change in the structure of Triple J, the Hottest 100 will remain on par with shammed democracies, where only a select number of candidates even have the opportunity to win. This entry was posted in Culture, Featured, Music and tagged biased, hottest 100, music, triple j. Bookmark the permalink.